There is a system that I wanted to share with you to increase your weight loss results this month. This is such a powerful system that I just had to share it with you. This is a ninja strategy that I share with the members inside of Slim Down Smart. The strategy is called using a buddy system. I have witnessed powerful results testing this on myself personally and seen clients achieve amazing results too. So let me share with you exactly how it works and how you can use it too! The first step is finding someone who has the same or a similar goal as you. This person could be a family member (works best), a friend, or coworker. 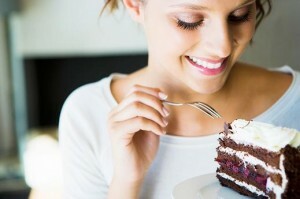 This goal could be to give up a certain unhealthy food, do a quick exercise, and so on. Then the second step is accountability. This is an important step because this is where all the results come from. You have to monitor your partner to make sure they’re staying on track. You could eat meals together, do a quick exercise together, etc. This way you’re both staying accountable. Third: The reason this strategy works so well is because it gives a sense that someone is watching you and keeping you accountable. You don’t want to let that person down or let your partner outperform you! I did this with one of my family members last year. Our goal was to give up cheat days that we normally took once a week for 3 months. This was a battle :). We were always keeping each other accountable. It was fun! If we say someone trying to sneak a snack we would politely say, “Looks like I’m going to win! Will I win the competition today?” then my partner would then think and but down the snack she was attempting to eat. This is a great strategy and it can be a lot of fun too. I would recommend you try this with someone at your household to see how it goes. Want to stream-line your weight loss success? Click here to check out the system that has transformed thousands of people’s lives and was shown to produce a 96% success rate for those who took action!